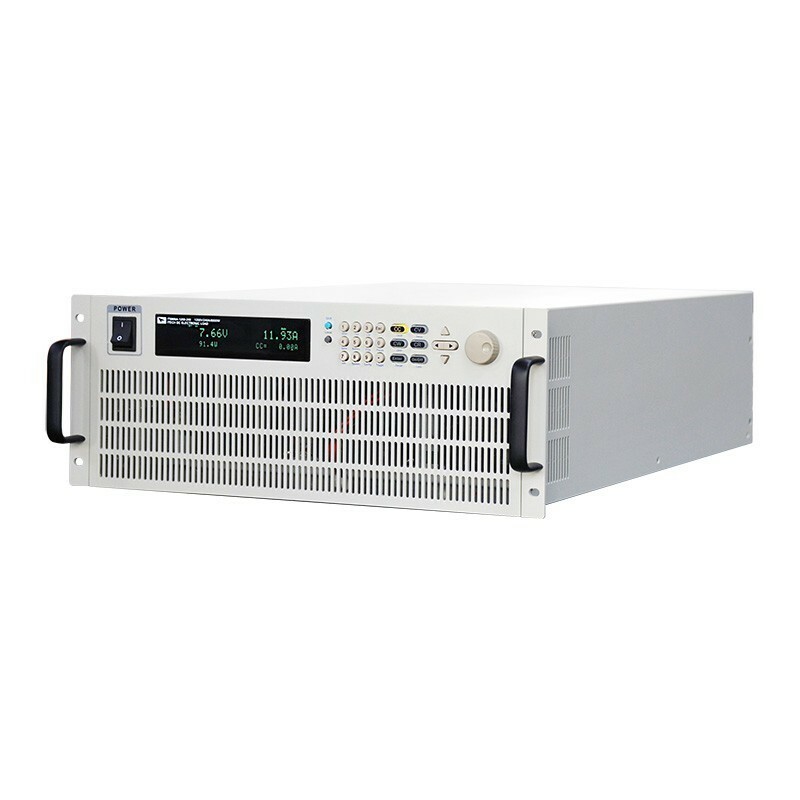 IT8900A/E series high performance high power DC electronic load provides three voltage ranges 150V/600V/1200V, stand-alone power from 2kW to 54kW. 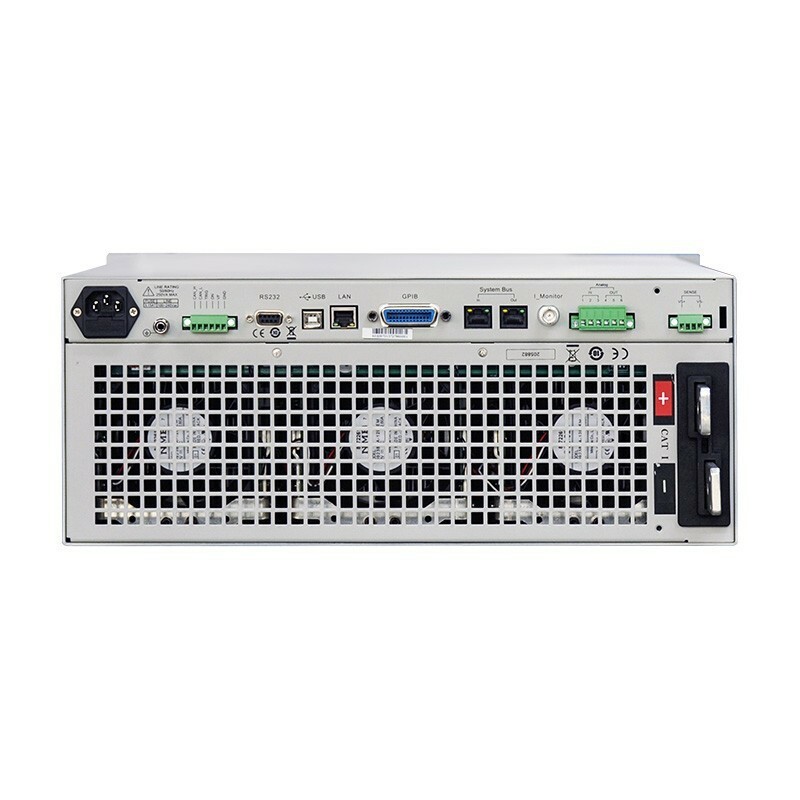 IT8900A/E series, with ultra-wide voltage and current range, controlled by an independent master unit. The power expands to 600kW by master-slave paralleling. 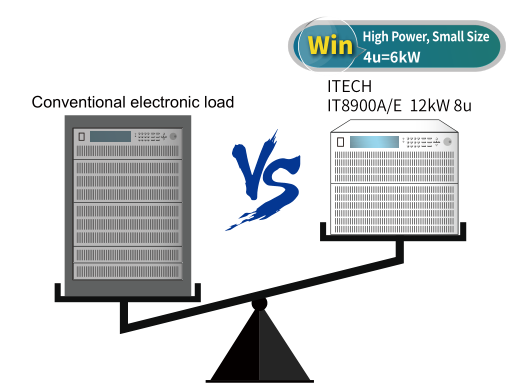 Ultra-high power density, 6kW is with only 4U height. 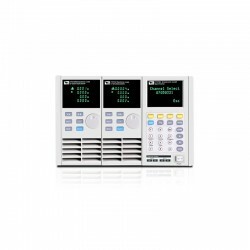 IT8900A/E series has eight (A series) / four (E series) working modes, faster loop response and current rising and falling speed, as well as dynamic mode, OCP test, OPP test, automatic test and battery test functions. Built-in CAN, LAN, GPIB, USB, RS232 and analog interfaces, etc., IT8900A/E series has comprehensive protection function, which can be applied to power battery discharge, DC charging station, on-board charger (OBC), power electronics and other power electronics products. IT8900A/E series adopts high power density design, the size is half of the conventional electronic load, and the weight is 1/3 of the conventional electronic load. 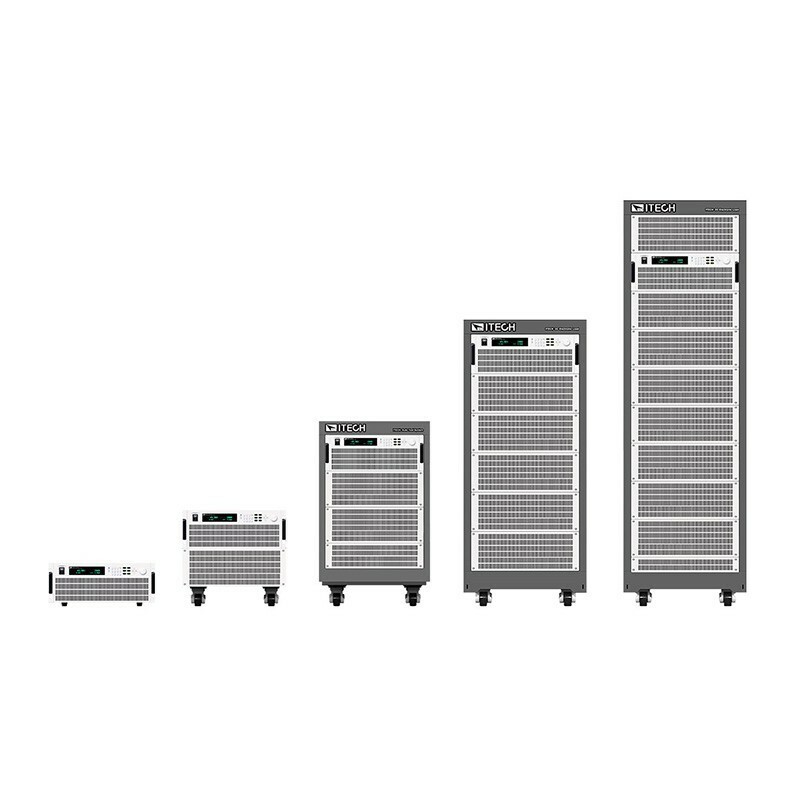 IT8900A/E series has ultra-wide voltage and current input range, covering a variety of existing models, meeting the requirements of high current, low voltage or high voltage, low current. IT8900A series provides eight kinds of working modes such as CC, CV, CR, CP, CV+CC, CV+CR, CR+CC, CP+CC, which can adapt to the test requirements of various occasions. Among them, the CP mode is often used to UPS battery test, simulate the current change when the battery voltage is decaying. It can also be used to simulate the characteristics of the inputs of DC-DC converters andinverters. The CV+CC mode can be applied to the load simulation battery and test the charging station or the car charger. When the CV is working, the maximum loading current is limited. CR+CC mode is commonly used in the testing of voltage limiting, current limiting characteristics, constant voltage accuracy, and constant current accuracy of on-board chargers, which prevents over-current protection of on-board chargers. The dynamic mode and list mode of the IT8900A/E series can all be performed in the CC mode. By editing the step width and slope of each step, a variety of complex sequences can be generated, allowing the user to complete various tests with loading waveforms. And under CC mode, IT8900A/E can set the rising and falling speed. IT8900A/E series electronic load has battery discharge function, and can perform discharge test under CC, CR, or CP mode. 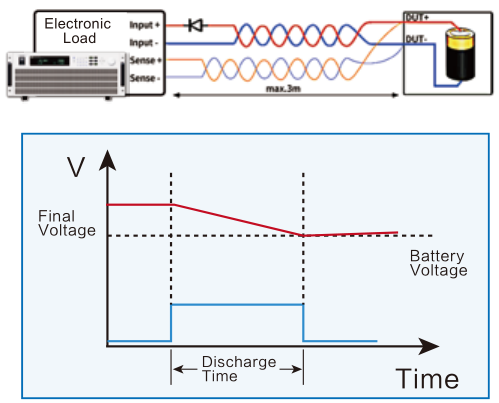 IT8900A/E can set 3 battery stop conditions: voltage, capacity and time. Whenever met any condition, it will automatically stop test. During the test, users can observe battery’s voltage, time and already-discharged-capacity. the performance of the paralleling machine is more stable. 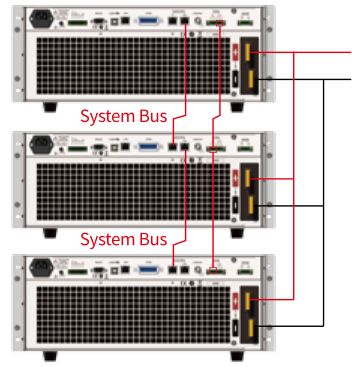 IT8900A/E series electronic load is built-in LAN, USB, RS232, CAN, GPIB, analog interface, supports SCPI protocol. 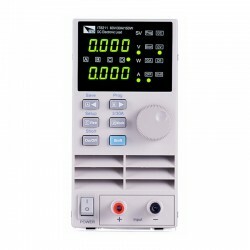 It is suitable for power expansion, computer or PLC remote control, system building and so on. 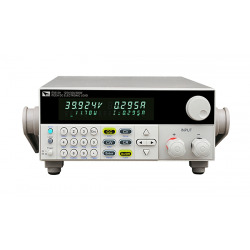 IT8900A/E series provides the measurement of rising and falling time of voltage and current. 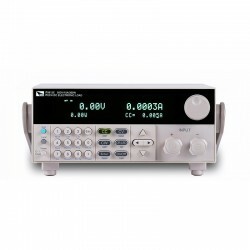 The measurement accuracy is up to 10μs, which is comparable to the high precision oscilloscope. IT8900A/E series can be applied to measure the start-up and shutdown of power modules, holding time, and fuse blowing time. Measurement time is measured by the PC software. 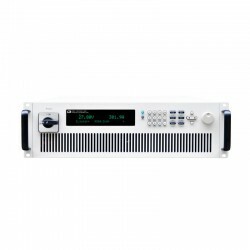 IT8900A series electronic load (150V model) has dynamic mode* with up to 30kHz, the upgrade of the integrated internal structure has greatly improved the loop response and stability. 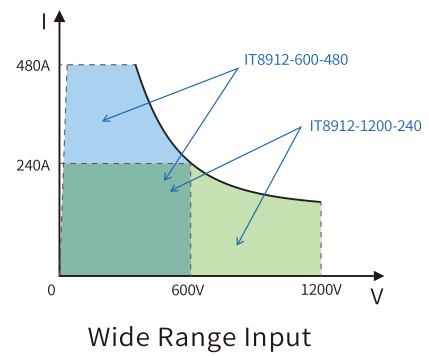 IT8900A can be applied to the transient response test of switching power supplies and can also test transient high current tolerance of DC-DC converters and batteries. 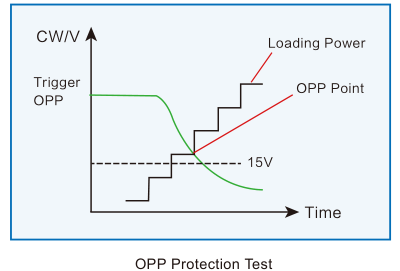 OCP and OPP are mainly applied in over-current and over-power point tests of the lithium-battery protection board and power modules. 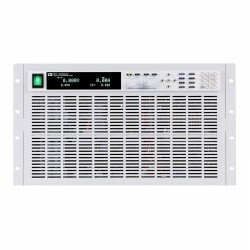 For power supplies, OCP and OPP are designed to guarantee the user’s safety and to reduce damage rate. 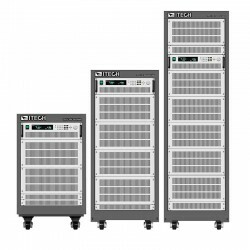 IT8900A/E series can automatically judge the test result according to the set specifications, so the users can save much time in verification of design and production system. IT8900A/E series electronic load has analog control interface, which can be used for industrial control or expanding load power by paralleling. When IT8900A/E is used for industrial control, using PLC output 0~10V to control the 0~100% full scale change of CC/CV of the load. Compared with the real-time control from PC, the response time is faster and up to 10μs, step time is <10ms, accuracy can reach 1%. At the same time, IT8900A/E also has the advantage that the number of steps is not limited. 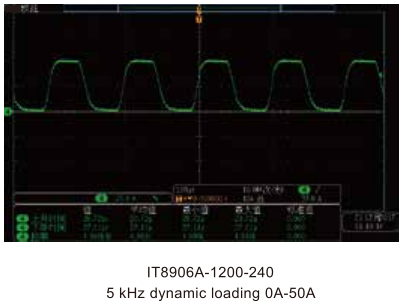 The right picture shows the 0-4.2V sine wave input analog interface, which controls the dynamic loading of the IT8900A 0-100A. 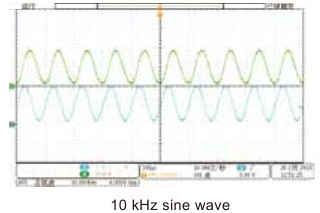 The waveform amplitude and phase reduction below 10 kHz are higher. 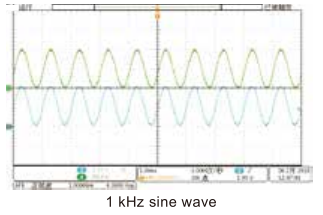 It can be applied to battery tests of all kinds of complicated waveforms, and can also be used for impedance analysis test of fuel cells. 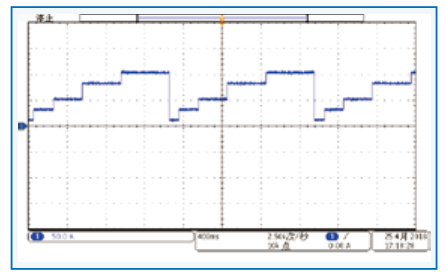 When used to paralleling load power expansion, the analog interface can be used for parallel differential analog control interface, which is more stable and reliable than the traditional independent LAN interface parallel communication. To avoid instrument damages by incorrect operations or abnormal ambient surroundings, IT8900A/E provides soft start, soft stop, current oscillation protection, OVP, OCP, OPP, OTP, current limit protection, power limit protection, and etc. When any abnormal situation, IT8900A/E will immediately stop working to ensure the DUT and personnel safety. 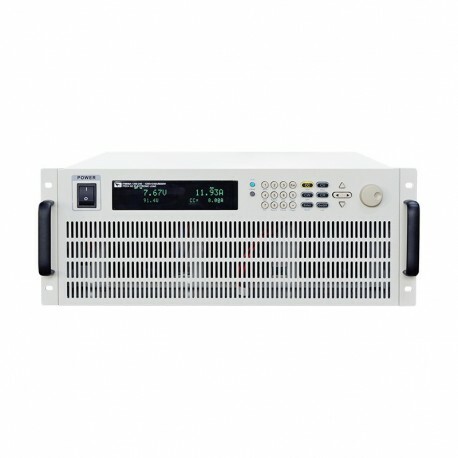 IT8900A is with soft start and soft stop function, which can prevent the load from loading too fast, transiently pull down the power supply voltage, or transiently turning off the load to cause power supply voltage surge, that is, the settable on slope, openable off slope function.